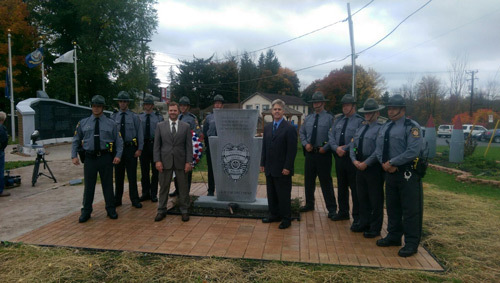 On Friday, Oct. 17, state Reps. Tommy Sankey (R-Clearfield) and Scott Conklin (D-Centre) joined state troopers from Clearfield and Philipsburg for a memorial service at Veterans Park in Philipsburg. They met to honor the life and service of State Police Cpl. Bryon Dickson, who was shot and killed last month at a rural barracks in the Pocono Mountains.